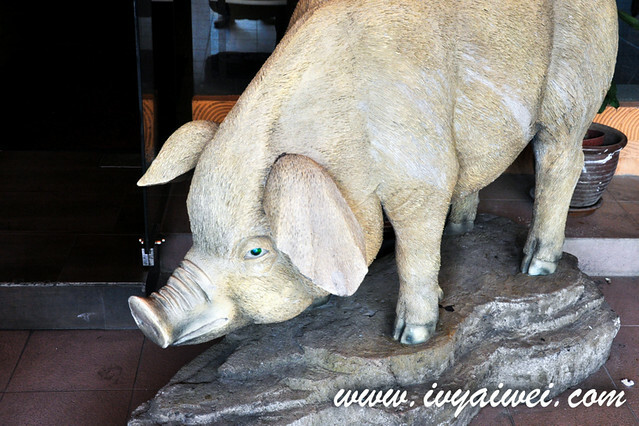 Oink Oink Oink; let’s follow me on an Oink Oink journey. 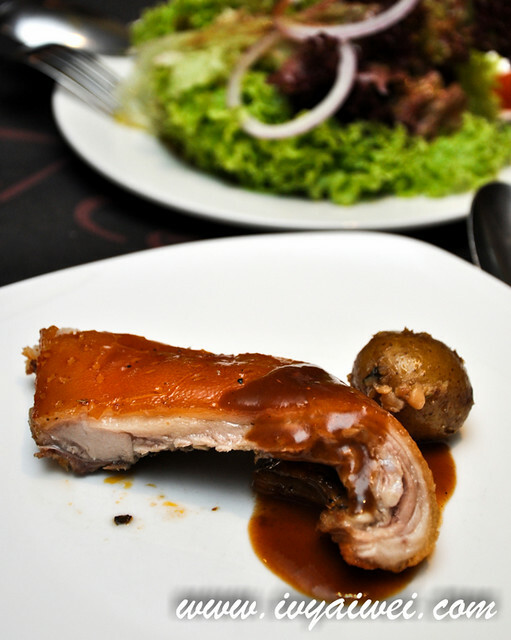 We are always the fans of pork. So, on dad’s birthday last year, I decided to bring the family to a real pork place that serves the porky dish made from head to tail. 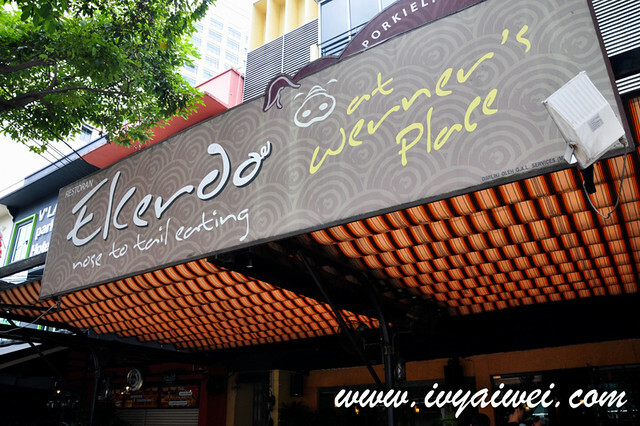 El Cerdo carries the meaning Pork in Spanish; is located at this forever lively Changkat Bukit Bintang. 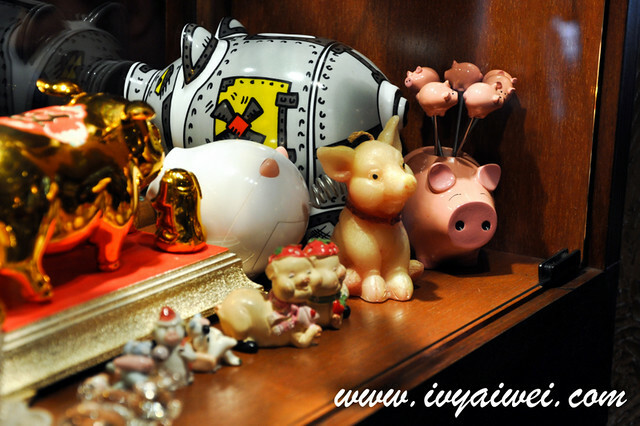 Stepping in, you will get to see a wide selection of booze on the tray; on the wall and between the wall (okay, what am I saying), there were the whole collection of little piggy figures and also the paintings with piggy head and body to match the restaurant’s theme. Adorable! 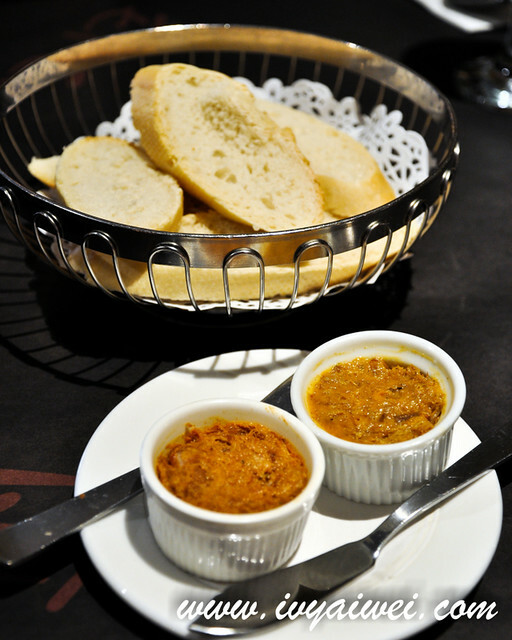 We started off with a selection of cold plate and appetizers. 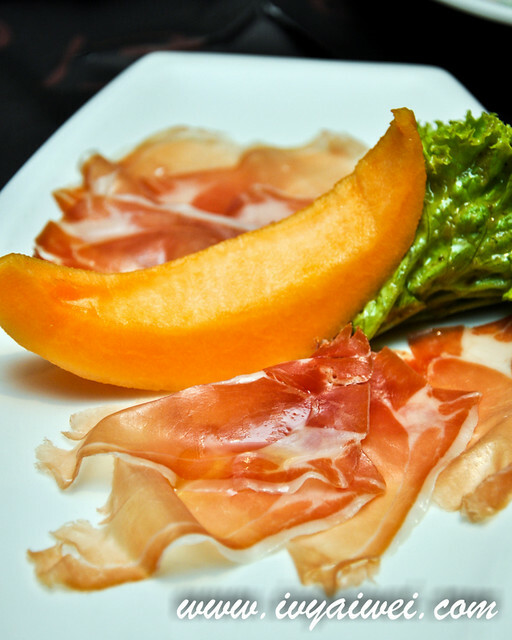 The sweet and savoury combination of imported high quality Spanish Cured and Air Dried Ham served on rock melon and salad. How can we miss this out?! Lovely! 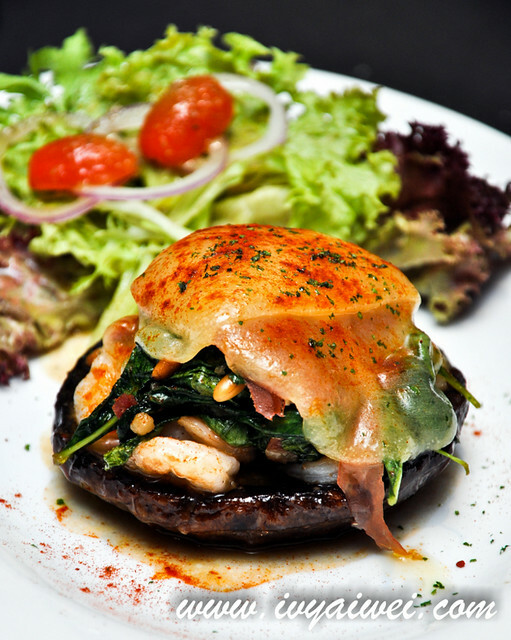 Huge Portobello mushroom that stuffed with shrimps and spinach and baked with ham and cheese; it was aromatic with the touches of ham and melted cheese. With cheese and smoked pork shoulder ham. 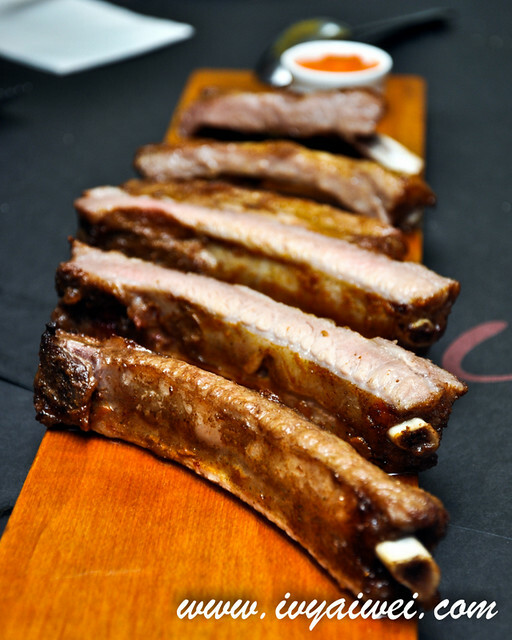 The spare ribs are one of the signatures of El Cerdo. 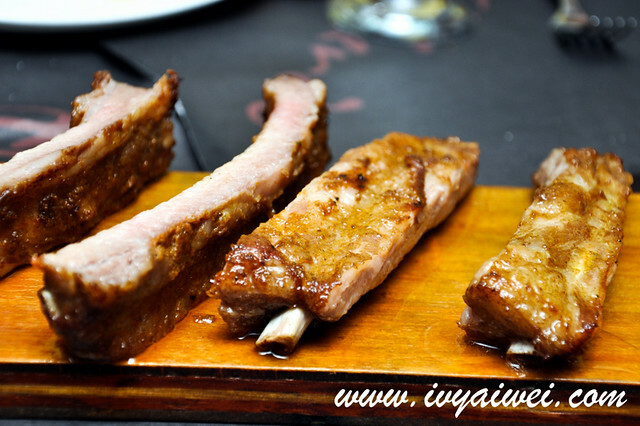 They were succulent and tender; the ribs alone were already great but they do serve along with the tangy pineapple salsa for extra flavour to the pork ribs. Use your hands and have them sunk in between teeth. 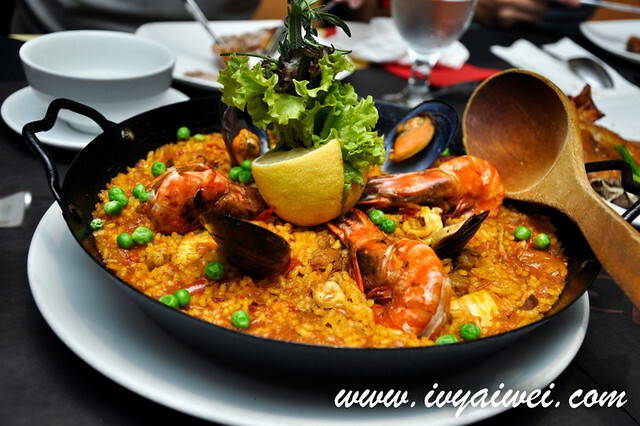 We went greedy and have everything mix in our rice – Huge plate of paella with seafood, chicken and pork. 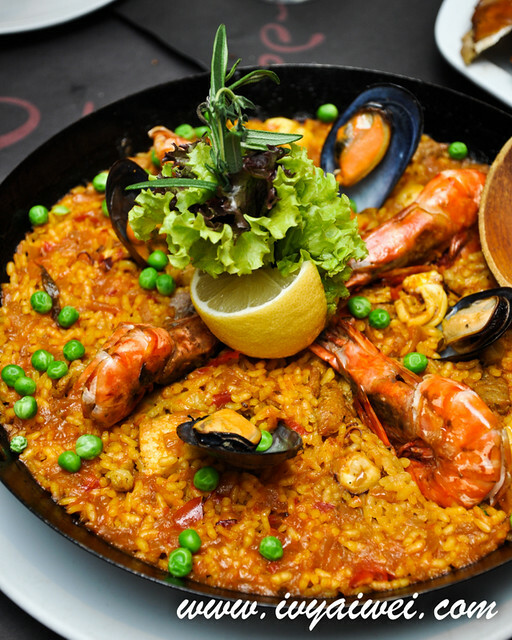 The rice was moist and packed with flavours from all its ingredients. 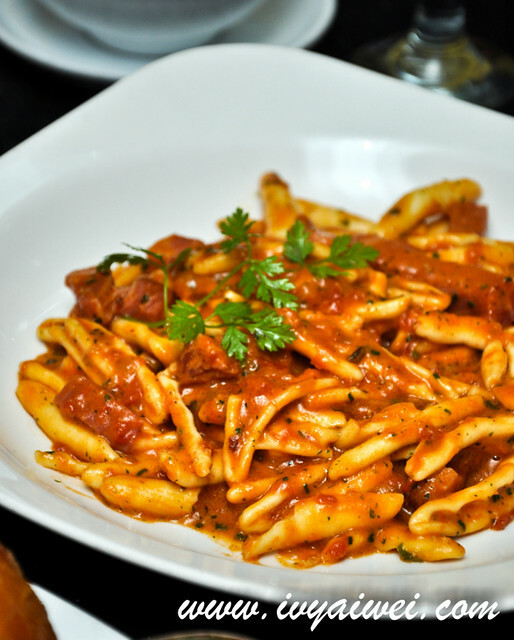 This portion is really huge and it’s always great for sharing. We actually couldn’t finish it and had it pack home to be my next day’s lunch. Still so yummyyyyyy! I noticed every table ordered this dish and luckily I pre-booked half tail too! 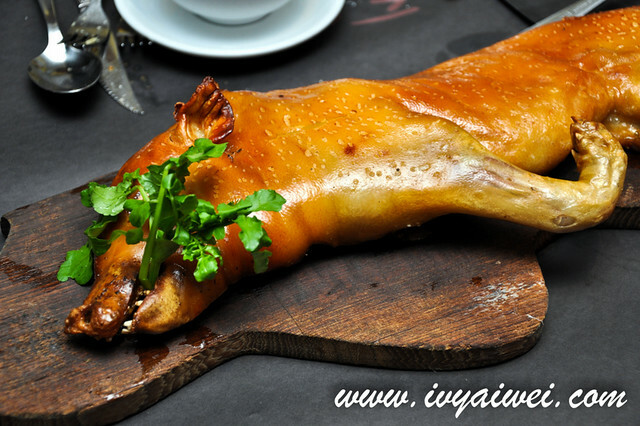 The Roasted Suckling Pig with some greens it bites on and served on a wooden chopping board. 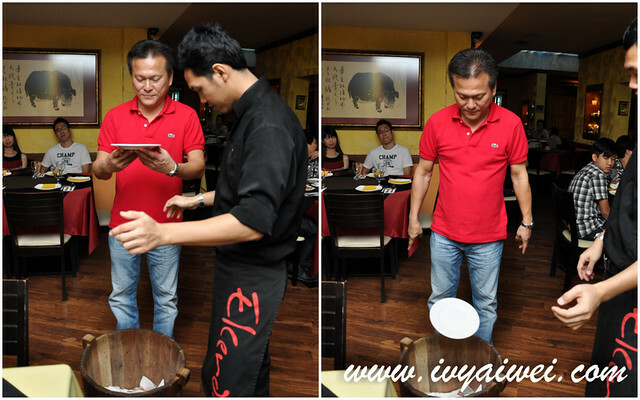 We were told that it’s a tradition to knock the board 3 times with the plate and then chop the pig into 3 parts, then make a wish and break the plate into the wooden pail for good luck. Such an interesting tradition and we did it after listening too! 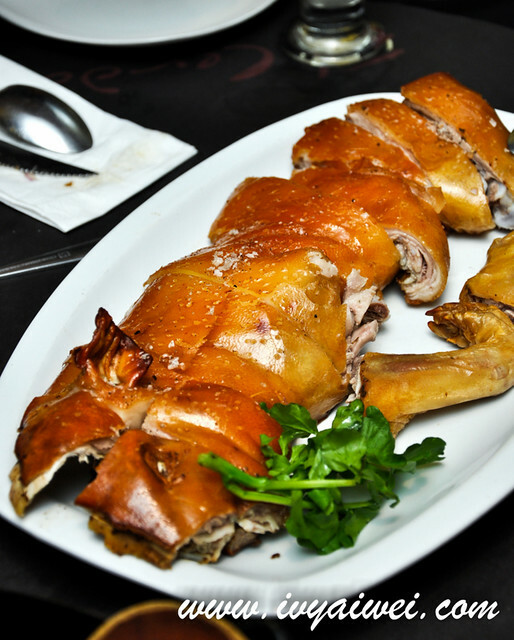 Crispy outer skin and soft tender meat with just the right proportion of fats; which was not overly fat to us. 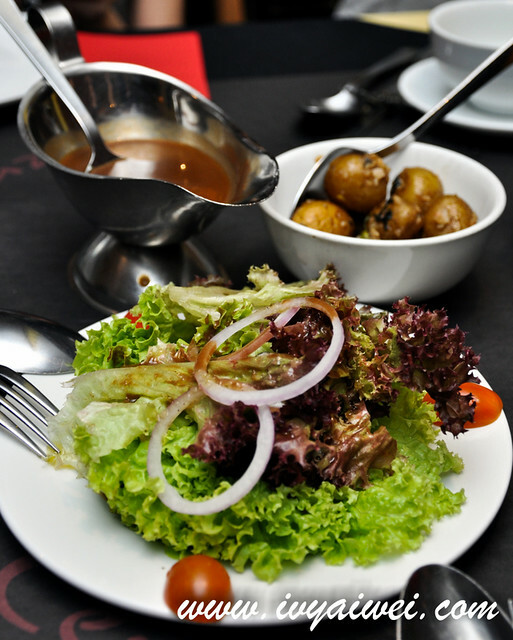 This dish was served with side dishes such as baked potato and green salad with balsamic vinegar dressing. Do remember to call up beforehand to reserve your piglet!!! 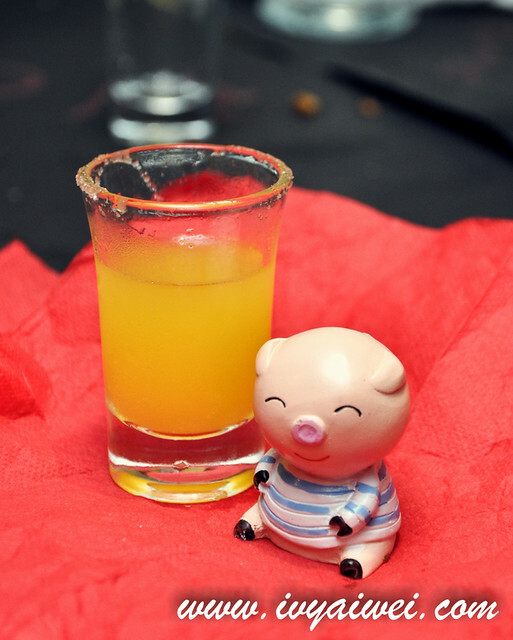 At the end of the meal, since it’s the dad’s birthday, they presented us shot glasses of cocktails – lime juice with white wine and martini with candle lit on the tray; this came out with the whole oink oink team with their cute oink oink birthday song! Thanks for their blessing, cute toy as present and the birthday song. It’s not cheap but worth paying for the family. Besides can try check out some deal sites which offer cash voucher over here to try out. hahaha, i so agree with your sentence! really nuts going after piggy dishes. 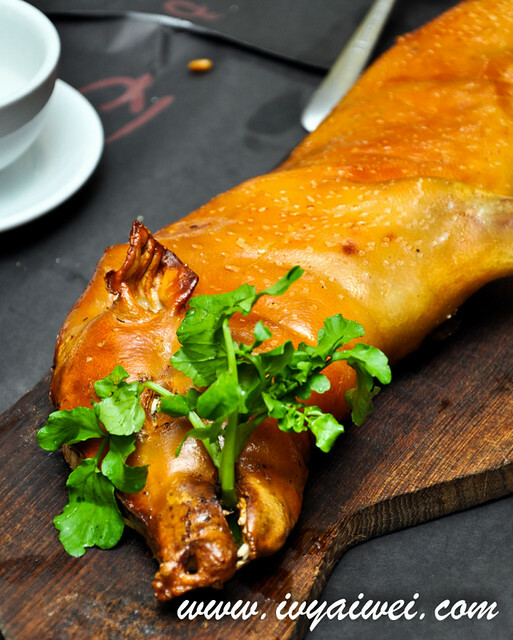 The piglet not just looks good but tastes great too! 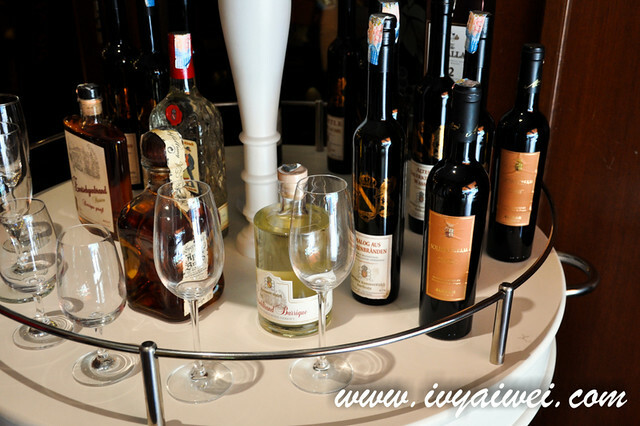 We thank you for your lovely blog post. It was fantastic to have you bringing your family along. We are always humbled to have families, couples, friends spending quality time together at our outlet. This makes our job more meaningful thus motivates us to do more for our customers. Really nice pictures by the way. P.S. We have shared your story on our FB page, https://www.facebook.com/elcerdokl. Thank you for your interest. Hope we’re not too late but our team tried to contact you this morning but it seems like we can’t get through. We’ll try again later and in case you need us, our number is 03-21450511 or 013-3094197 or you could drop us a message on on Facebook – facebook.com/elcerdokl or visit our website at elcerdokl.com. 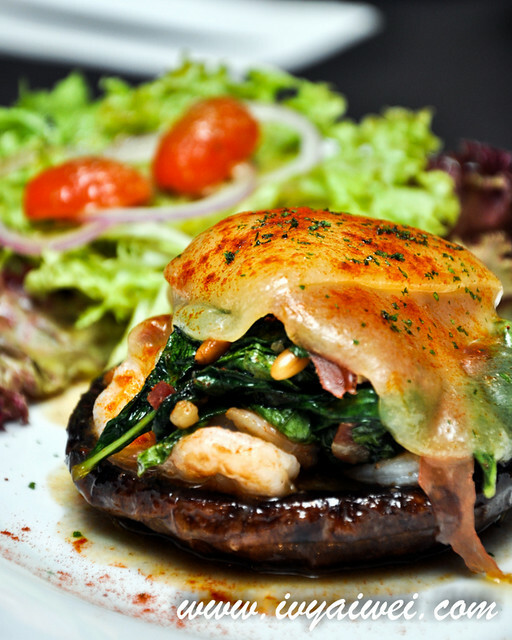 Our team contacted you and it seems like you already made your reservation. 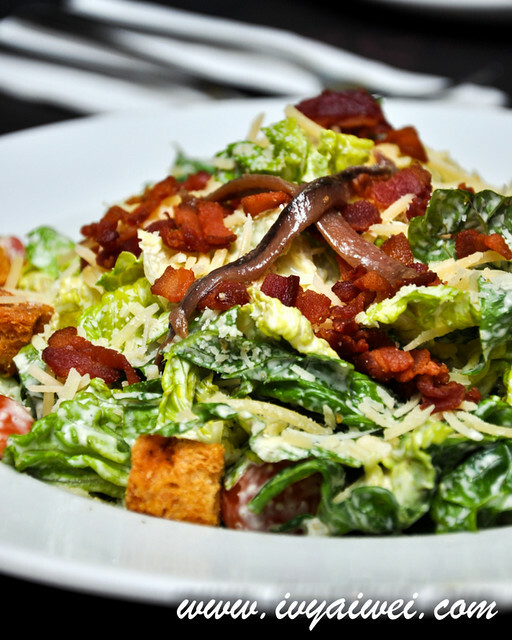 Thank you for choosing El Cerdo!